Google Classroom - What is it? 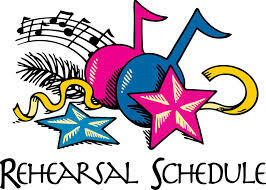 K-5th Grade BBQ will be held at 11:00am, and the Middle School BBQ will begin at 12:30pm. If you have more than one student in different grades, please choose 1 (one) session from the options below. Also, we have put together a list of things for our families to bring. 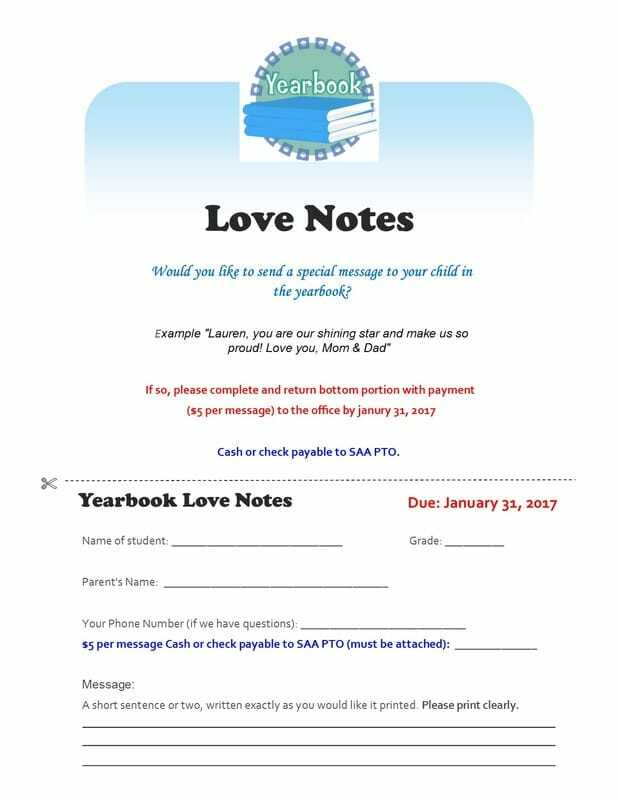 Yearbook orders were due back in January 2017. The orders were placed and the 2016 - 2017 Yearbook will be distributed on Tuesday, May 30th. They will be delivered directly the students in their homerooms. ​On Wednesday, October 25th we will host the 1st Quarter Honor Roll Ice Cream Social. Students in 2nd through 5th grade, who earned straight A's (Principal's Honor Roll), and A/B Honor Roll (all As & Bs) as well as students in middle school who earned Principal's Honor Roll (Straight A's) and Star Award Honor Roll (GPA of 3.50 - 3.99) will be invited to attend. Only the elementary students are eligible for A/B honor roll, our middle school students need a GPA of 3.5 and above ((Star Award)) to qualify. A list of our honor roll students will be posted below on October 20th..
We need help with set-up, scooping and passing out ice cream and clean up. Volunteers are needed from 12:45pm - 4:00pm and must be Level I approved for the current school year. We are also asking for donated items such as ice cream, disposables bowls, spoons, sprinkles & various toppings (to see which specific items we need and to sign up to donate, please click link above) to make this a spectacular event for our students who have worked so hard this quarter. Please be sure to drop off these items to the office the day before (October 24th). Phil is an entrepreneur and founder/CEO of Genuity Group. His breadth of management and consulting experience encompasses the corporate business world, re-innovation of organizations and launching new business enterprises. Phil’s passion for innovation and re-energizing business has earned him a client base of nationally recognized healthcare organizations, not for profit organizations, U.S. regional banking corporations, educational institutions, manufacturing companies and more. Phil is excited to contribute to SAA’s on-going success. Lo hemos hecho más simple que nunca, y puedes realizar tu pedido directamente en línea a través de una tarjeta de crédito. ¡No se pierda de una gran oportunidad para obtener tu Anuario 2016-2017 de la Academia de las Artes Sarasota! Se trata de un libro de cubierta dura, aproximadamente 100 páginas a todo color. ¡Nuestra Maestra de Arte K-5, la señorita Courtney Tippett, ha hecho un trabajo increíble en la recopilación del libro y no se arrepentirá! Si usted prefiere ordenar usando efectivo/cheque pagando al PTO de SAA, entonces por favor pase a la oficina a recoger un formulario para ordenarlo o click here. También tendrá la oportunidad de enviar un mensaje especial a su estudiante al enviar una "Nota de Amor". Un formulario llegará a casa con el boletín de esta semana, por favor pídalo a su estudiante. Si le gustaría imprimir más formularios en casa para dar a los abuelos, a otros miembros de la familia, etc., por favor click here para bajar en panfleto PDF o vaya a la página de Información del Anuario en el sitio SAA Website. Anuarios regulares serán $34 y luego tienes la opción de añadir una funda personalizada por un costo adicional de $6. Usted tendrá que agregar ambos a la cesta para completar su orden si usted desea tener su nombre impreso en la portada del Anuario. ¡LÍMITE: Pedidos de Anuarios deben ser recibidos antes del 27 de enero! Tenga en cuenta que NO habrá oportunidades adicionales para comprar un anuario despues de la fecha límite. El año pasado cometimos el error de ordenar anuarios extras y perdimos bastante dinero, así que por favor mantenga eso en mente. ¡ESTA ES SU ÚNICA OPORTUNIDAD DE COMPRAR UN ANUARIO! Encuentre su escuela usando los menús que bajan: seleccione el estado, la ciudad y el nombre de la escuela. Verifique que la escuela es la correcta. Entre el nombre de su estudiante y seleccione su Grado del menú que baja. Entre su dirección a pagar y la información para pagar. Confirme que su orden esta correcta y pulse ‘Submit Order’ para pagar. Usted recibirá un Resumen/recibo de su Orden para guardar o imprimir para sus archivos. Calling ALL SAA Parents and students! We need photos of all our students (Kindergarten through 8th grade) for the yearbook. So if you have taken or plan to take any photos from field trips, classroom visits, performances, etc, please follow the instructions below to uploadphotos to our community page for consideration and possible inclusion in the yearbook. Please note: Often times photos are taken with camera phones and the digital quality may be too pixelated for us to use them in the yearbook, so we ask that you please review them before submitting. · Fill out your information and create a username and password, then check your email for confirmation, and then log in! · Click Upload Photos and choose a category (i.e. Grade Level, Fall shows, Disney, etc.) and browse to select the photos you wish to upload. You may be limited to the number you can upload, so again, please be sure to review the photos for their quality prior to submitting. If you are unable to upload them, please contact me for an alternative method. Julie owns and operates a consulting firm specializing in eco-messaging strategy and digital engagement. Julie began her career teaching science in an inner city middle school before advancing to leadership roles including Vice President of Education for Mote Marine Laboratory, Education Manager for Busch Gardens Tampa Bay, and was chosen as a TogetherGreen Fellow of the National Audubon Society. Locally, Julie sits on the Board of Directors for the Greater Sarasota Chamber of Commerce, is Chair of the Green Business Leadership Council, and is a member of the Steering Committee for the P-20 Education Council. She holds master’s degrees in Outdoor Education from the University of Otago in New Zealand and Communication from USF. She earned a Sustainable Business Leadership Executive Program Certificate through Green Mountain College (VT) and has undergraduate degrees in both Zoology and Education from Miami University of Ohio. Julie overcame a massive, debilitating MRSA-infection to become a marathon runner and now speaks to audiences about strategies to overcome obstacles and achieve their best through her program, the 20th Mile. An active mother of two and an advocate for STEM education and the links between science and the arts, Julie is thrilled to support SAA. Kelly Marsh was a Founding Board Member of Sarasota Academy of the Arts and is now the Parent Liaison. Two of Kelly's younger children are in middle school year. She will be representing Sarasota Academy of the Arts parents at Board Meetings, but is no longer a voting board member. She holds her Bachelor of Science from the University of Florida in Commercial Recreation and focused her career on Facilities Management. After working in that field, Kelly made a switch to the computer science industry where she spent over 10 years. In 2008, her third child was diagnosed with a rare and life threatening disease called Hemophagocytic Lymphohistiocytosis (HLH), and subsequently went on to needing a bone marrow transplant. Since her daughter’s successful recovery, she has been advocating for families around the world who are newly diagnosed, and helping them get to the right treatment center for this specialized and rare disease. She also is a Volunteer Ambassador for the National Marrow Donor Program (www.bethematch.org) and helps with their awareness campaigns, as well as educating the public on the need for blood donors, and is an avid supporter of Suncoast Blood Bank. Kelly is an active volunteer for multiple organizations as well as the Sarasota schools where her children attend. Kelly’s support and organizational skills are a tremendous asset to SAA. Our Fall Box Tops Collection Contest begins NOW and runs through October 12th. This school year, SAA's goal is to raise $1,000. The PTO will award a prize to the class that collects the most! Please take a moment to read through the packet that is coming home this week. It has all the information you need on collecting and getting your box tops in on time! Thank you to everyone who has been sending them in already! 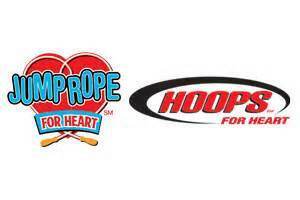 We are thrilled to be supporting the American Heart Association to help teach our students and families how to take care of their hearts through Jump Rope for the Heart and Hoops for the heart program. With the educational programs from the American Heart Association, our students learn how the heart works, how exercise affects their hearts and how to stay FIT FOR LIFE! Approximately 80% of the funds raised go directly to the mission, funding extensive research efforts, heart education and programs to help us all live healthier lives. Look for information to be coming home soon! 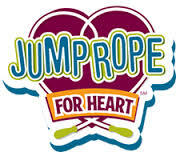 Thank you to everyone for their participation and help with Jump Rope for Heart. We are proud to say that SAA raised $2,356!!!!! The kindergarten raised the most money out of any grade! The re-enrollment commitment form for returning SAA students must be received, and date stamped by Kathy Bechtel in the SAA office, by 5:00pm on February 14, 2014 to hold your student's spot for the 2014-2015 school year, otherwise it will be filled by a new applicant drawn from the lottery and/or the waiting list.